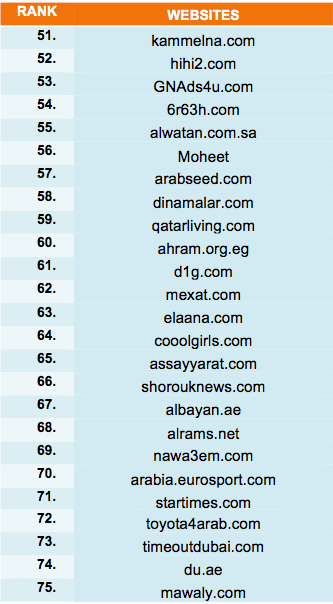 Which sums up about a total of 46 million unique browsers in the GCC and 91 million unique browsers in the MENA region for December 2011. 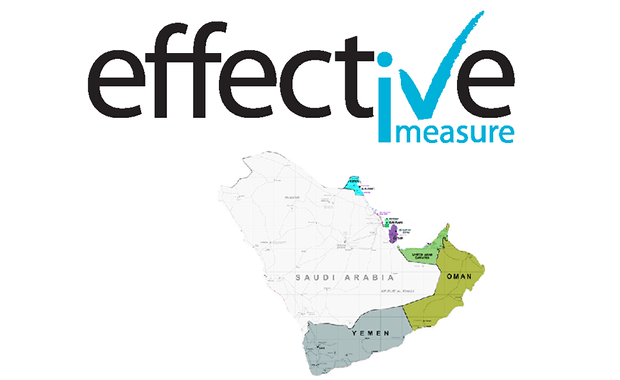 Leading website sabq.org grew by almost 10.5% compared to November 2011, recording over 6 million unique browsers in December. 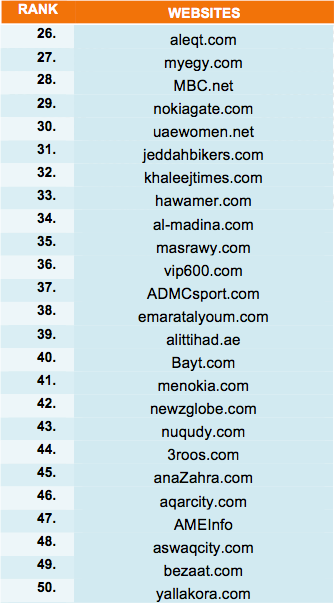 Arabia.msn.com grew by almost 56.6% compared to November 2011, recording over 5.7 million unique browsers in December. Thanks alex, I do agree with you about brands having to create more content so far the online ecosystem in the region is lacking "useful" content but is slowly getting there I think. 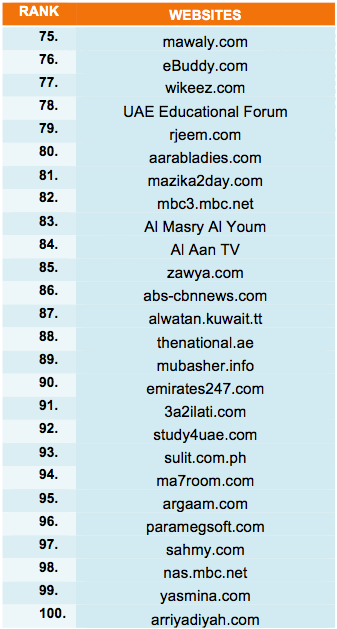 Thanks PITAPOLICY, I think the majority of the top 25 websites are homegrown in the MENA with the exception of websites such as MSN, BBC and goal.. But we'll dig deeper and try to get more information about the founders.